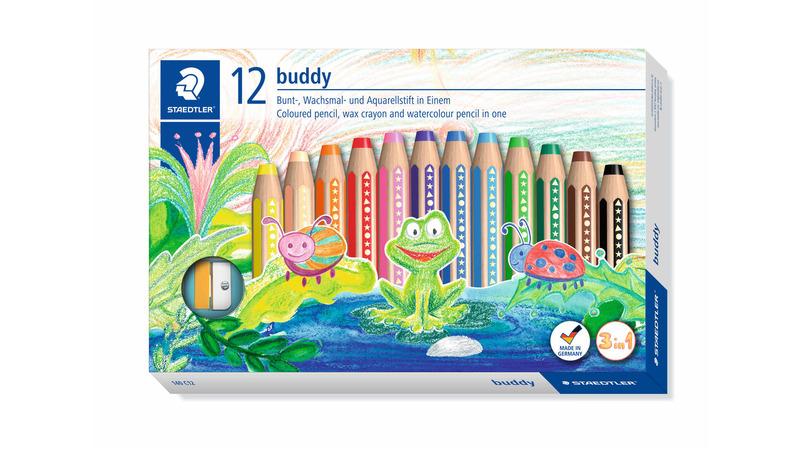 The new buddy is the ideal companion for small children when they do their first drawings. With its super soft lead, it is a combination of coloured pencil, wax pencil and watercolour pencil, for unbridled creativity on paper, cardboard, glass and much more, even on dark surfaces. 18 vibrant colours inclusive gold and silver and the compact pencil format that fits perfectly into small hands open up the world of imagination to our little ones.